With its clever mix of Laser Squad-style gameplay, steampunk/Western visuals and card-based action, Ironclad Tactics is a fun little game which is well worth checking out. This Deluxe Edition adds some cool extras to an already decent experience, so if you are interested in playing it, this is the one to go for. The game is set in an alternate history Civil War which features steam-powered military robots, and plays out like a mix of turn-based strategy games and collectible card games, although it's actually in real time. Battles play out across a variety of landscapes and see you moving your troops and playing cards in order to carry out actions like shooting and so on. You choose your cards before a mission and then they are dished out randomly during the game, giving it an element of unpredictability which is quite interesting. 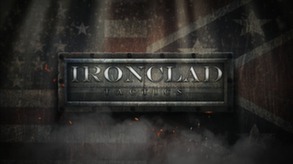 This edition includes two add-on campaign packs, a digital artbook, soundtrack and even a printable model of one of the game's signature units, the Ironclad. This is definitely an interesting little game which doesn't quite live up to its promise due to a number of small issues. In its favor, it's got a great visual style which is full of personality and charm, particularly in the cutscenes. The card mechanic is genuinely well done and adds a lot to the game, but the storyline isn't overly interesting, while the missions are also quite samey, and you should also be careful which version you buy if you want the multiplayer mode. Overall though, this is a worthwhile purchase.